It’s been a decidedly grey and drizzly week here in Devon, making getting out and about that little bit more challenging. 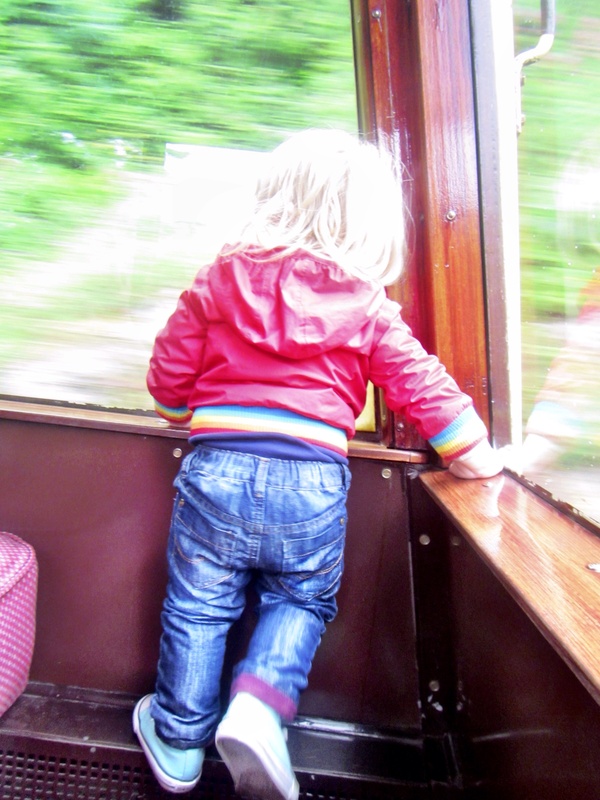 However it did give us the excuse to revisit one of our favourite local attractions: the steam train that runs between Kingswear and Paignton. This train will always have a special significance for our family. It was on a day out just after Christmas in 2012 that my waters broke and I began to go into labour with Arthur. 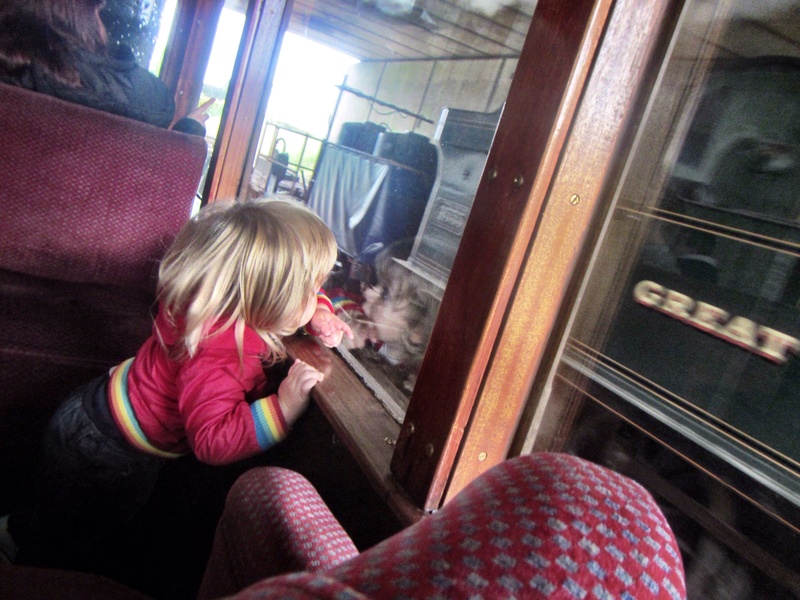 We began what I’m sure will be an annual tradition with a trip on the steam train for his first birthday, but haven’t actually been back since. This time round he was much more aware of what was going on: he responded excitedly with ‘choo choo!’ when I told him about our plans in the morning, and his excitement increased tenfold once we were actually on the train. 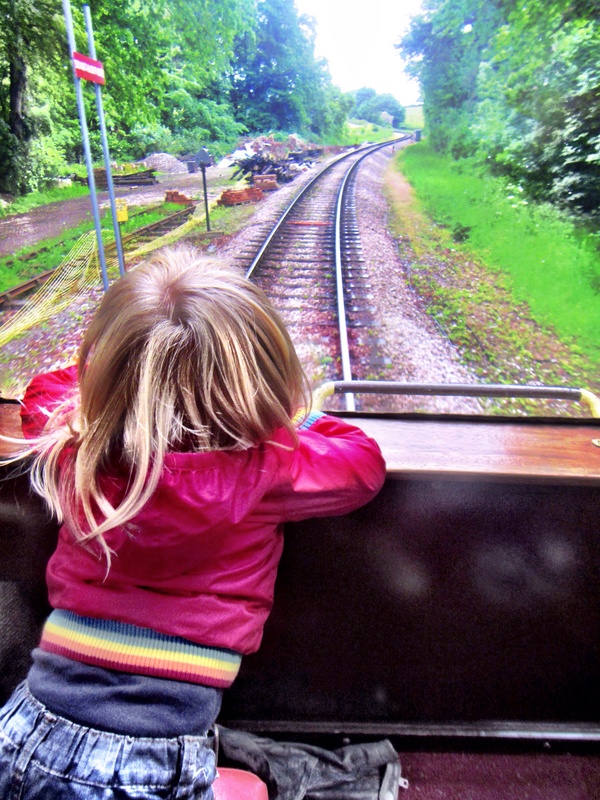 We travelled in the Devon Belle observation carriage for the first time – it’s one of only two left in operation in the whole world, and gave us a fantastic panoramic view of the countryside as we chugged along. We were right up by the engine for the first leg of the trip, so the steam enveloped us whenever we passed under bridges giving everything an otherworldly aura that just added to the sense of travelling back in time. The stations decked out with their vintage signs added to that too, as did the engines in the sidings and the trains that passed us on the other track. We travelled along the river and through verdant woodland, though the best views were reserved for the stretch of track alongside Torbay: even with clouds shrouding the headlands it looked pretty spectacular. 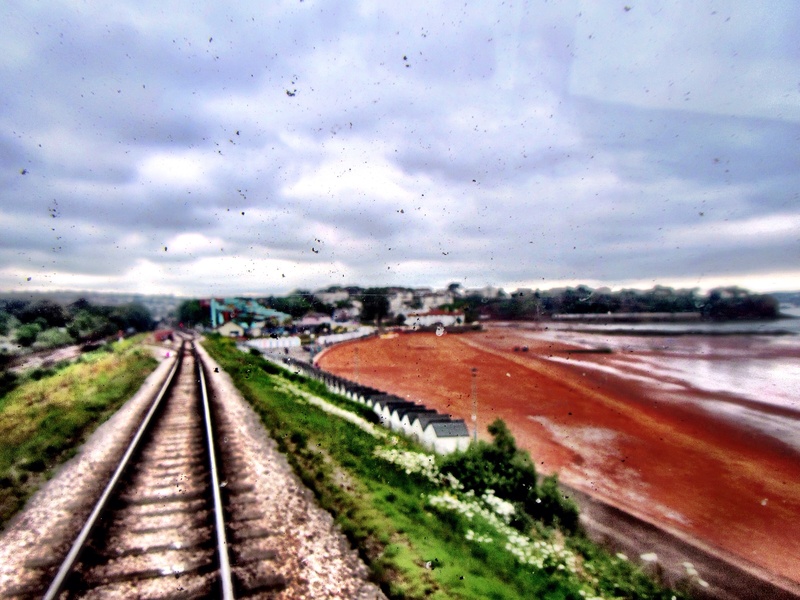 When we pulled into Paignton we watched as the engine refilled with water before being moved to the other end of the train to pull us back towards Dartmouth. As well as being pretty awesome to watch in itself this left us with an unobstructed view for our return trip – just the line disappearing behind us as train made its way back along the coast. 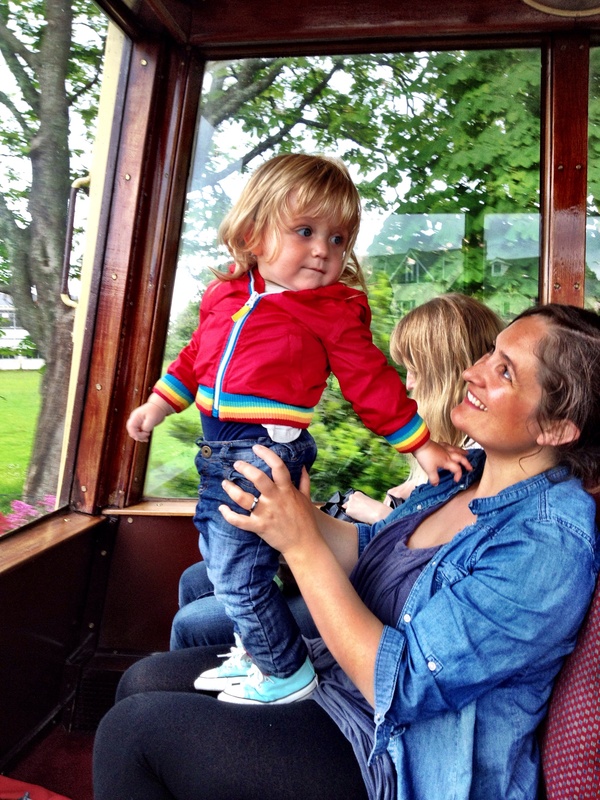 Arthur was keen to make the most of the view from every possible angle, enjoying the freedom of travelling without being confined to a car seat! I’m not sure there are many more perfect ways to appreciate the beautiful place we live in than by trundling along in a steam train. It gives me a little thrill every time I see the plume of steam rising up across the bay, or hear the whistle echoing in the wind. I’m very glad that Arthur seems to share my enthusiasm, and I’m already looking forward to our next trip! 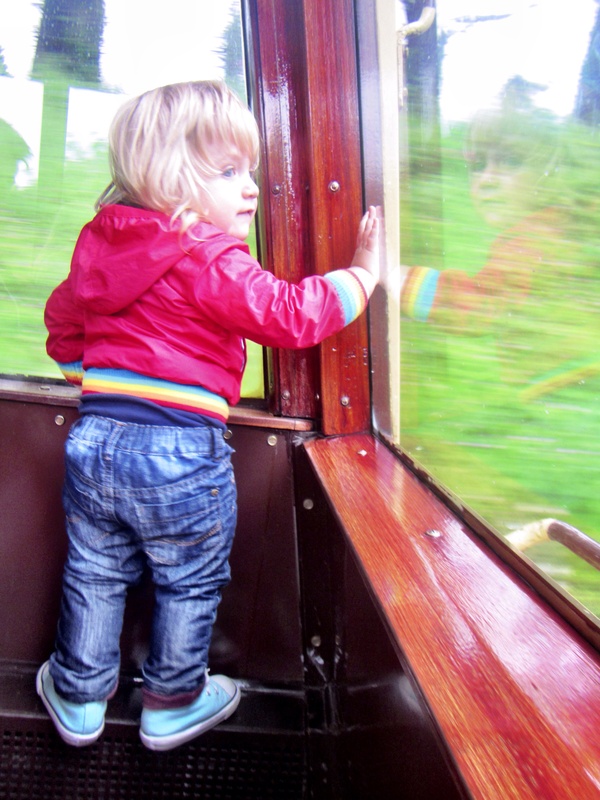 This entry was posted in Sophie is parenting, Sophie is travelling, Sophie loves Brixham, Uncategorized and tagged Dartmouth Steam Railway, steam train, Torbay on May 31, 2014 by sophieblovett. Arthur had great fun. We’d actually just managed to get to Paignton when my waters broke on that eventful journey so not too scary… I’m sure I’ll have fun embarrassing him with the story when he’s older though! Oh, wow, the view is incredible, especially when you were on the end of the train on the way back! It’s lovely when you go under bridges and the steam is all around you, isn’t it? 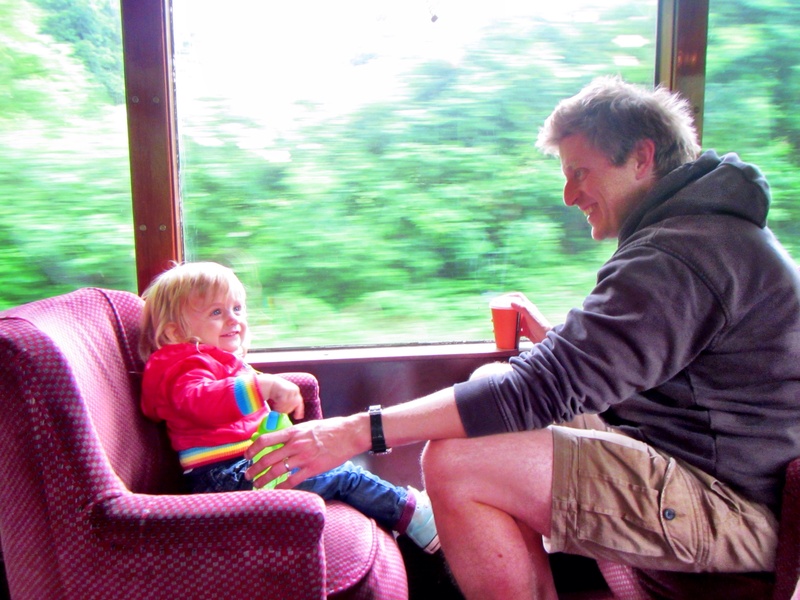 Hubby and I did the Harry Potter train from Fort William to Mallaig (before we had the kids!) and it was so atmospheric, loved it! 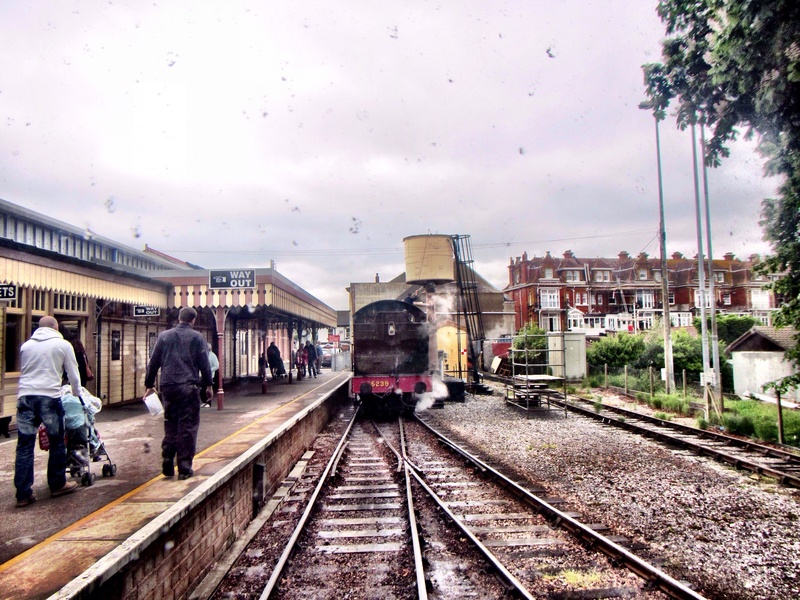 I love trains anyway, and there’s something about steam trains that’s just so atmospheric as you say! 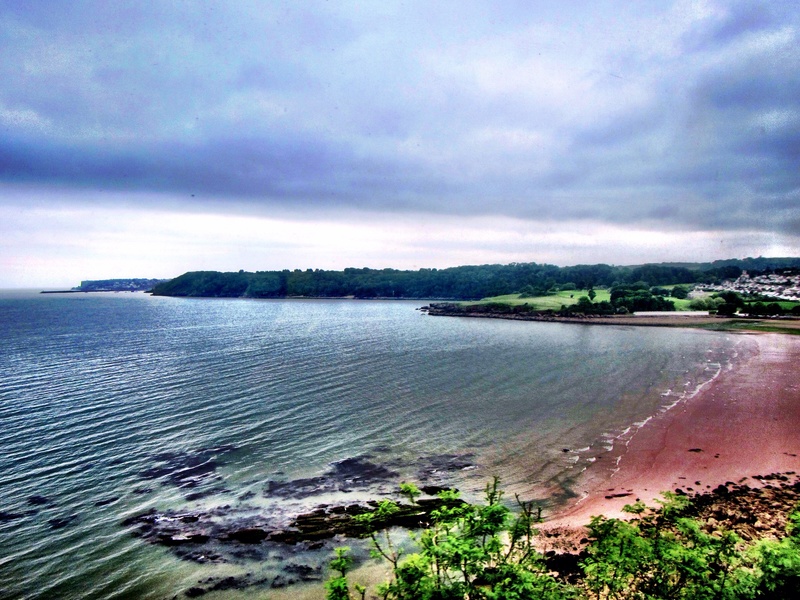 What a wonderful way to travel and appreciate some of the beautiful views in Devon. I can see that Arthur had a wonderful time and enjoyed his steam train journey. Thanks for linking up and sharing with Country Kids. What a wonderful day out, lots of fun and very beautiful scenery. Yep – though actually after the bumpy ride last week I wasn’t exactly surprised!